Smart grid’s long-awaited IPO hopeful enters the gate. Here’s what you need to know. After years of keeping the smart grid industry and investment community in a state of suspense, Silver Spring Networks is finally taking the plunge into the public markets tomorrow, according to multiple sources. 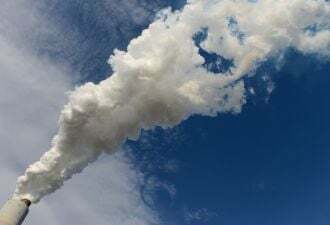 Now it all comes down to the next 24 hours to determine whether the decade-old, Redwood City, Calif.-based startup’s combination of big backlog of business and unclear path to profitability will satisfy the market in a decidedly down green investment climate. We’ve covered Silver Spring’s IPO plans from the pre-inception phase to the official S-1 filing in July 2011, through the company’s continuing list of project wins, technology developments and strategic investments since then, culminating with the the company’s decision late last month to price its IPO at $16 to $18 per share, for a midpoint offering of $63 million -- less than half the $150 million it had originally planned to raise. Since then, Silver Spring has been holding its road show, with recent news reports citing a target offering of $66.7 million and a potential market valuation of $754 million. One person with knowledge of the matter told Greentech Media that the company expects to set its final IPO target price by this evening -- stay tuned for more details. Silver Spring did lose lead underwriter Morgan Stanley, which is no longer listed on the company’s S-1 filings as of this year. Goldman Sachs is now lead underwriter, with Credit Suisse as second lead underwriter and Piper Jaffray, Stifel, Baird, Canaccord Genuity, Evercore Partners and Pacific Crest Securities rounding out the list. To boost its IPO prospects, Silver Spring announced in September that key VC backer Foundation Capital has agreed to buy $12 million in Silver Spring shares at its IPO price if it finally does go public. That's a move akin to SolarCity backers Elon Musk, DFJ and DBL Investors pledging to buy up a big share of the company's stock the day before its December IPO. Silver Spring has has raised just under $300 million to date, with big investors including Foundation Capital, with 27.7 percent of the company after the IPO and private placement, and Kleiner Perkins Caufield & Byers with 12.8 percent. Other investors include Northgate Capital Partners, Google, EMC and Hitachi. As for its financials, Silver Spring reported 2012 revenue of $196.7 million, down from $237.1 million in 2011, and a 2012 net loss of $89.7 million, which represents a slight improvement over 2011’s loss of $92.4 million. The company hasn’t stated when it expects to achieve profitability, though it has offered some non-GAAP metrics for its billing and payment cycles, which run on utility (i.e., slow) timescales. 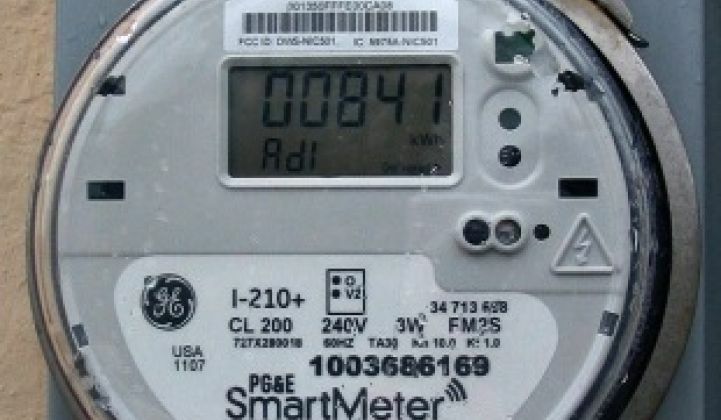 In the meantime, the company is facing a slowdown in the U.S. smart metering market, which is more a consequence of the one-time jolt of billions of dollars of federal smart grid stimulus money passing through the system. That puts pressure on Silver Spring, as well as competitors (and sometime partners) such as Itron, Sensus, Elster, Toshiba’s Landis+Gyr, Aclara, Echelon, Trilliant and General Electric to expand to international markets. In the week and a half since it named its IPO target price, Silver Spring did announce one new project with CPS Energy, San Antonio, Texas’ municipal electric and gas utility. The two said they’re working on “increased energy efficiency, automating energy distribution, and improving grid reliability,” all terms that describe some of the distribution automation (DA) services that Silver Spring is trying to grow as a way to make money on its existing networks, as well as new ones. The project, part of San Antonio’s “New Energy Economy” initiative, is also aimed at laying the “groundwork to implement smart energy and smart city technology across CPS Energy’s service territory,” with possible projects including smart streetlighting, environmental sensors, traffic signals, electric vehicles and parking meters -- a pretty long list of functions that Silver Spring is working on with various partners. Diversification of its revenue streams will be vital for Silver Spring to meet its profitability goals. The company currently relies on several large-scale projects with big U.S. customers such as Pacific Gas & Electric, FPL, Oklahoma Gas & Electric, Baltimore Gas & Electric, Commonwealth Edison and Progress Energy for the majority of its revenue. While Silver Spring has also networked smart meters in Australia and is working with partners in Brazil, the U.K. and Singapore, international business accounted for only 8 percent of revenue in the first nine months of 2012, up from 5 percent in the same period in 2011. Silver Spring’s share of revenues from services such as demand response, distribution automation and others it has built on top of its core networking and software platforms will also be a critical measure of the company’s prospects. Silver Spring hopes to expand recurring revenues from those services, both for customers that have already networked millions of meters with the company’s technology and for future customers such as CPS. Even so, revenue from the company’s demand response and DA solutions only represented 11 percent of the company’s revenues for the first nine months of 2012. That’s up from only 1 percent in the same time period in 2011, which indicates that the company is finding few new customers interested in those services. Whether or not Silver Spring can continue to grow the share of its revenues that are coming from these recurring service contracts, and thus avoid being caught in the overall smart metering slowdown, may play a key role in its future financial prospects.